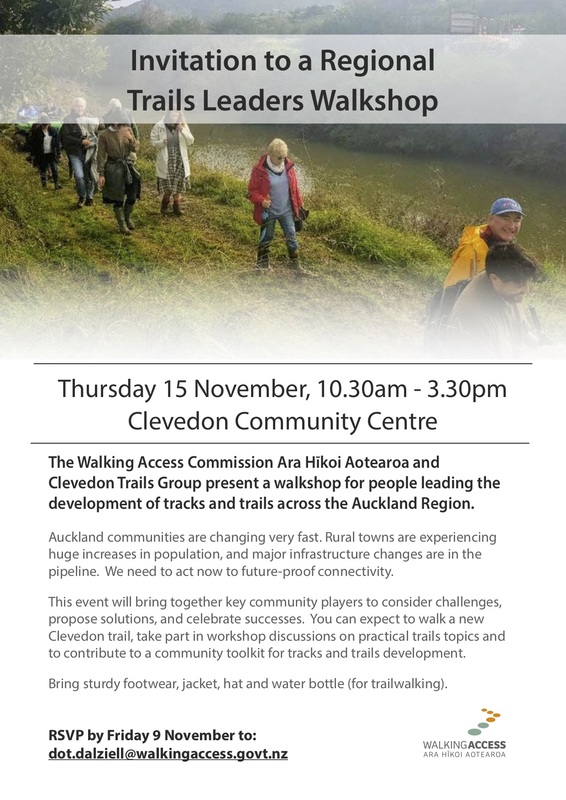 Clevedon CCBA and the Walking Access Commission are hosting an Auckland Regional Trails Walkshop (walking and working) on Thursday 15 November. All Clevedon locals are welcome - see more info in the flyer below. Please RSVP ASAP if you intend to participate, so we can get catering numbers correct.